The expand iconendoplasmic reticulum (ER) is the hub that produces one third of the proteins that keep a plant growing. 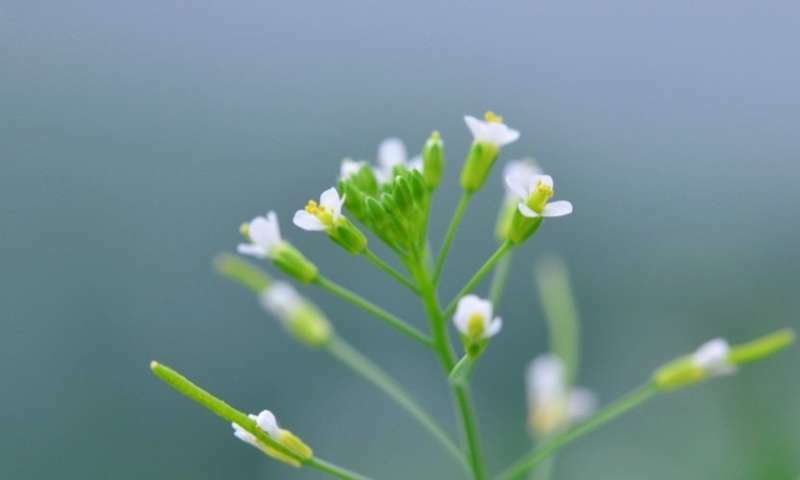 To cope with the stress, plants rely on an alarm signaling system, called the expand iconunfolded protein response (UPR). The UPR protects cells from defective proteins and instructs the ER to produce healthy ones. We still don't know much about how the UPR works in plants. But understanding it could be a key to breeding plants with enhanced resistance to stresses. The result: improved yields. "We identified one gene, called NPR1, that reduces the activity of the UPR," says Ya-Shiuan Lai. Ya-Shiuan is the main co-author and a grad student in the Cell & Molecular Biology Program. "We think it is harmful for plants to keep an active UPR at all times during stressful situations. It consumes a lot of energy," Ya-Shiuan adds. "That is why plants use these 'negative' regulators, as we call them, to maintain a proper energy balance." "The gene product changes its structure, depending on the mix of chemicals inside plant cells," Ya-Shiuan adds . "During stress periods, the gene morphs into a simpler structure that enters the cell nucleus. There, it interacts with the DNA-interacting factors that are responsible for turning on the UPR." The scientists are still debating how the gene actually blocks the UPR. "Does the gene simply block the system from working? Or does it fuse with it, creating an inactive larger complex?" The same gene, playing a different role, also helps plants defend against harmful bacteria. "In this case, it doesn't play a blocking role. On the contrary, it supports the making of compounds that fight bacteria," Ya-Shiuan says. Somehow, the gene's work doesn't seem to bleed over between the 'stress' and the bacterial defense systems. It can confine its activity within the system it is working in. "I'm thankful for Dr. Brandizzi's support. She helped me keep the faith during the long publishing process," Ya-Shiuan says. "The MSU-DOE Plant Research Laboratory's culture of teamwork was very helpful. Dr. He's lab works on plant bacterial defenses. They helped me interpret the data and progress with my research."